NEHA LOGISTICS specializes in providing customized solutions for the safe conveyance of over dimensional, heavy and bulky cargo. We have been responsible for the movement of cargo requiring unusual handling. We are a most trusted name in between the topmost companies in this business, engaged in rendering Over Dimensional Consignment Service. This Over Dimensional Consignment Service is known for its timely execution. Furthermore, our service range is demanded for handling huge cargo consignment. Global Cargo India specializes in providing customized solutions for the safe handling of over dimensional, heavy and bulky cargo. Vertex Logistics specializes in providing customized solutions for the safe conveyance of over dimensional, heavy and bulky cargo. We have been responsible for the movement of cargo requiring unusual handling. 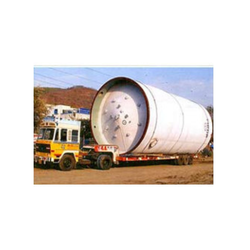 Wilson Sandhu Logistics (India) Ltd. specializes in providing customized solutions for the safe conveyance of over dimensional, heavy and bulky cargo. We have been responsible for the movement of cargo requiring unusual handling. We have a specialist team for the ODC work. Jain Trailer Service (I) Pvt. Ltd. In consignment shops, it is usually understood that the consignee (the seller) pays the consignor (the person who owns the item) a portion of the proceeds from the sale. Payment is not made until and unless the item sells. Such shops are found around the world. (Over Dimensional Cargo) We provide special equipments like Flat rack, Open Top Containers of 20' and 40' sizes for Shipping odd dimension and outguage cargo for all major sea port destinations. Over the years of operation, DRS Group has earned lot of experience & reputation in the field of ODC movements. We have handled multi interstate & intrastate ODC movements for big MNC companies. We move all ODD sized consignments with utmost care regardless of its dimensions and weight. Over Dimentional Consignment(ODC) is designed by the experienced professionals with optimum care and hard work. The team of professionals suggests the right equipments for your valuable supplement. Everprime Shipping specializes in providing customized solutions for the safe handling of over-dimensional, heavy and bulky cargo. Everprime Shipping has specialists on board who can take care of every requirement right from project evaluation and carrier selection, to site surveys and route clearances. Global Logistics specializes in providing customized solutions for the safe handling of over dimensional, heavy and bulky cargo. Airways Logistics Pvt. ltd specializes in providing customized solutions for the safe conveyance of over dimensional, heavy and bulky cargo. We have been responsible for the movement of cargo requiring unusual handling.